Exclusive G.I. Joe action figure 2-packs! Loaded with articulation and accessories. Wave 3 Case contains 8 individually packaged 2-packs. Shared Exclusive! Celebrate five decades of a Real American Hero with these 4-inch tall G.I. Joe 50th Anniversary Action Figures 2-Packs. 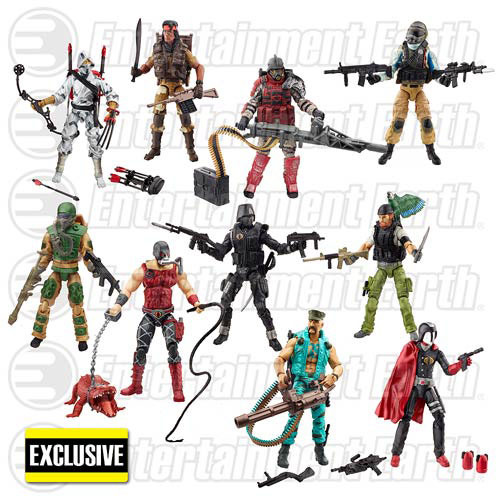 Each individually packaged set is loaded with articulation and some of the greatest accessories to grace the finest small plastic soldiers of all time! Ages 5 and up.